Today I signed the draft Record of Decision (ROD) and released the Final Environmental Impact Statement (FEIS) for the Upper Green Grazing Project, and I have attached a copy of the signed ROD in this email. The draft decision selects a modified Alternative 3. 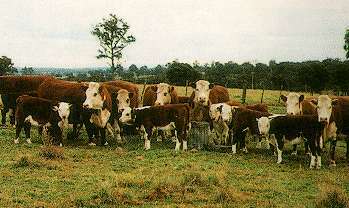 Under this decision, livestock grazing would continue to be authorized on all six allotments, using livestock management strategies designed to sustain rangeland and riparian resource conditions where desired conditions are being met and improve resource conditions where a gap between existing conditions and desired conditions has been identified. The EIS is available online at: http://www.fs.usda.gov/project/?project=3049. The Notice of Availability (NOA) of the FEIS will be published in the Federal Register in late October, 2017. The draft decision is subject to the objection process. Once the legal notice of the availability of the draft ROD is published in the Casper Star-Tribune, there will be a 45-day objection period. Objections will be accepted only from persons who have previously submitted specific written comments regarding the proposed project during scoping and other designated opportunity to comment. Issues raised in objections must be based on previously submitted written comments regarding the proposed project unless based on new information arising after designated opportunities to comment.